Not so much the European Tour as the World Tour as this week’s tournament tees up in China at the the Pete Dye Tianjin Binhai Lake Golf Club, which is located 50 miles southeast of Beijing. Tianjin Binhai Lake is a par-72, 7,577-yard which features 10 lake front holes. All of the holes feature strong angles of play, both from the tee and into the greens, with plenty of risk-reward opportunities including two short par 4s. There are several tee shots where the aggressive player can drive over sandy waste areas, which will leave short-iron shots into small and sometimes wicked putting surfaces. 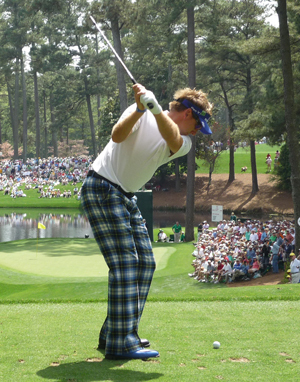 Ian Poulter 12/1 comes into this week’s tournament full of confidence with two top 10 finishes in his last two outings, including his seventh place finish at The Masters. 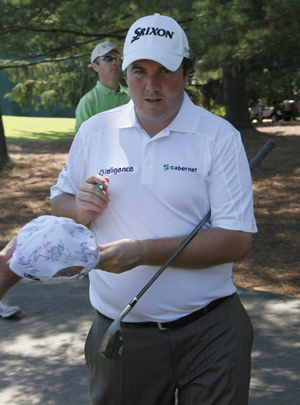 It looks like Ian has now put his early season injuries behind him, so look for him to be challenging here this week. Paul Lawrie 28/1 was right in the thick of it at The Masters after the first two days, but just couldn’t make the move he wanted to on moving day. But the lad from Aberdeen has already won this year and with four other Top 10 finishes will be looking to do well here. Rafael Cabrera Bello 30/1 looks like his coming back into form after his third place finish in last week’s Malaysian Open. He’s already had a win earlier in the season at the Omega Dubai Desert Classic and is another player looking to move up to the next level and start winning multiple tournaments. I tip Shane Lowry 35/1 a few week’s ago at the Trophée Hassan II where he finished in the Top 20 and followed that up with a Top 10 finish at the Sicilian Open, he also had a Top 10 finish at the Open de Andalucía and you cant ignore him at these odds. A lot of you will know I do like backing Jaco Van Zyl 40/1 and he come up trumps for us a few times last year, he’s already had three Top 10 finishes this year with two other Top 25 places from his seven starts, and as South African golf is on a resurgence Jaco wont want to miss out on the party. This week’s outside bet is the same as last week, Jbe Kruger 70/1, not as good as last week’s odds of 100/1, but then Jbe was in the thick of it in Malaysaia until he threw in a third round 77. But with all the rounds being suspended due to storms it was hard for any of the players to get into a rhythm so will stick with him again this week.